A long-distance moving is a shipment moving between two states. Long distance moving are priced according to a tariff, total weight of all items to be shipped, and distance from the point of origin to your new home. Long Distance moves are federally regulated under specific tariffs (published schedules of rules, rates, and charges for the transportation of goods). The tariff provides the schedule of rates and charges which gives you the total cost of the move. ⛟ Next Day Delivery. (We pick-up today and delivery tomorrow, dependent on delivery location. Ask for more detail). ⛟ Exclusive Use of a Truck. (Only your goods on the truck). ⛟ Same day delivery. (It depends on the move size, available to NY, NJ, CT, ME). ⛟ Guaranteed 1-2 Delivery date. ⛟ Storage services. (We call it SIT; we pick up your goods, hold it in our storage and deliver when you’re ready). ⛟ Detailed inventories provided for each move. ⛟ Unique numbered tagging system for all items shipped. ⛟ Blanket and plastic stretch wrapping of all furniture (this is rule #1 at Carmel). ⛟ Free Basic Valuation. (See Valuation vs. Insurance to understand better). ⛟ Dissembling and reassembling of required items. (Beds etc…). ⛟ No Charge for Shuttle at Origin. ⛟ No Charge for stairs at Origin. ⛟ No Charge for Long Cary at Origin. ⛟ No Charge for packing your Beds. (Mattress and box-spring). ⛟ Semi-Trailers and moving van equipped with air ride suspension systems. Carmel Movers offers many varieties of long-distance moving services. 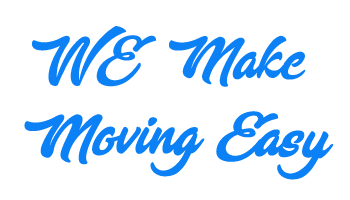 Contact our office to go over your moving needs and moving budget and we will discuss the services that will best suit your needs.